” Collect And Recycle Items To Help Animals Adverts contribute towards site running costs, but currently may not fit with the site ethos. We will continue to work on a solution. Not all of the above items can be used to fund raise for every animal charity and rescue, it depends on which schemes they are taking part in. If you see ideas for fundraising which a rescue you know of is not currently benefiting from, point them to this page. 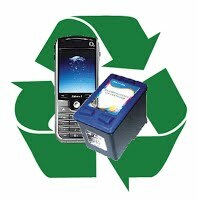 Both old cell phones, and empty inkjet and toner cartridges can be recycled. 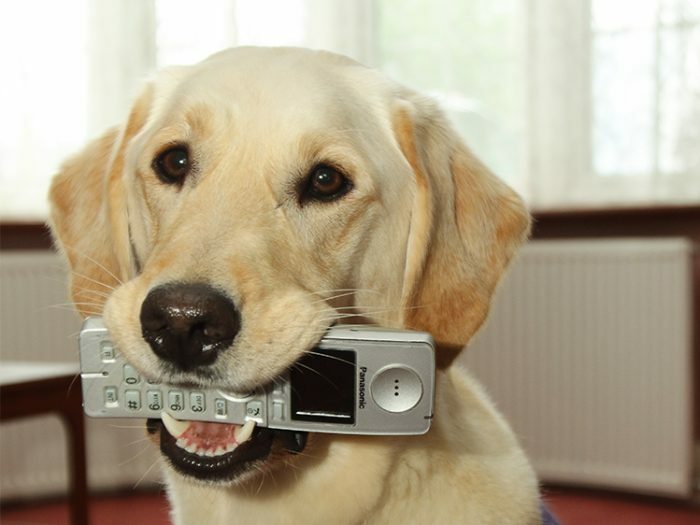 Animal charities can receive a donation for each recyclable cell phone or ink cartridge. It does not matter how old the mobile cell phones are, the condition they are in, or whether they work or not. If you know an animal charity who would like to benefit from raising money this way, they can register with this scheme, and/or this scheme. You can encourage your workplace to get involved in helping animal charities by recycling ink cartridges and mobile phones. Their are details for your company here. A free collection service is provided if you are able to donate a large number. See links below for details. Where mobile phones are accepted for recycling, they can only be donated this way, and not using the free post labels or envelopes. This is due to UK postage regulations. There are many more animal charities registered with these schemes than are NOT listed above, so if the animal charity you would like to recycle for is not in this list, search for others on this website. If it is not there, contact the charity and let them know they can register. Many animal charities and rescues raise funds through stamp donation. 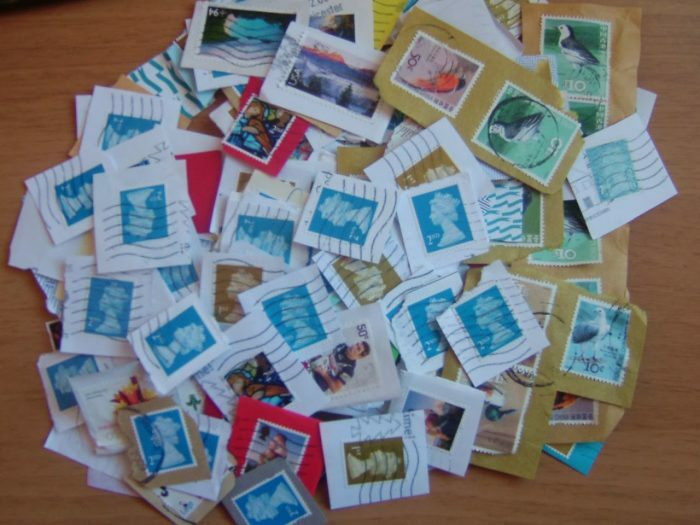 Used stamps, new stamps, British stamps, foreign stamps, rare stamps and every day stamps are all taken by different charities and can be worth around £6 – £20 per kilo. When cutting stamps out of envelopes, it is advised to leave a border of approximately 1cm around the stamp, being careful not to damage the edge of the stamp. Farplace take in animals rejected elsewhere, e.g. feral or FIV+ cats. Bransby cares for horses, ponies and donkeys. The UK’s largest Horse Sanctuary, helps horses, ponies, donkeys and mules. Bergen Way, Sutton Fields Ind. Est. Contact them through their website (link above), or on their Facebook group to request the address to send the stamps to. 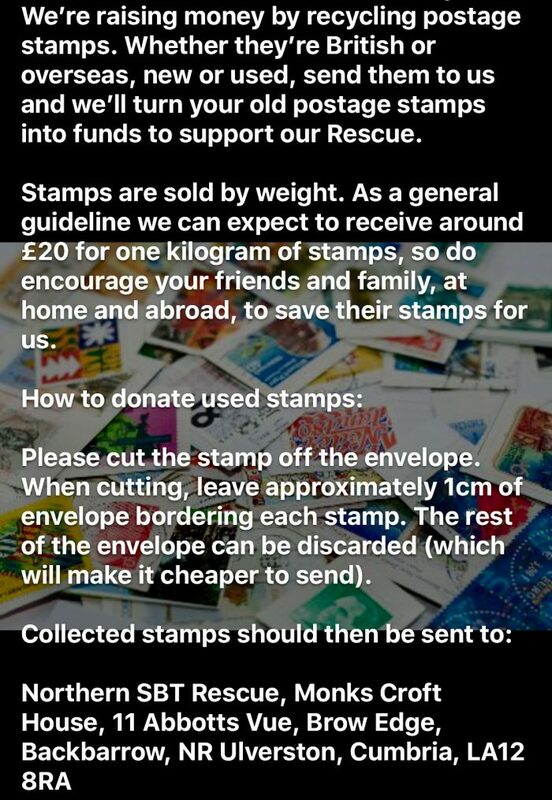 The I Love Crafting group on facebook, run by Ninia Macasil, will gladly receive used stamps, as Ninia donates them to different animal rescues and charities. You can contact her for the address to send them to through her Facebook Group (link above), or her email address is nfm56@yahoo.co.uk. You can search for other animal charities you would like to send stamps to on the Used Stamps For Charity website. If you know of an animal charity that does not currently benefit from raising funds through collecting stamps, let them know that they can register with the website. 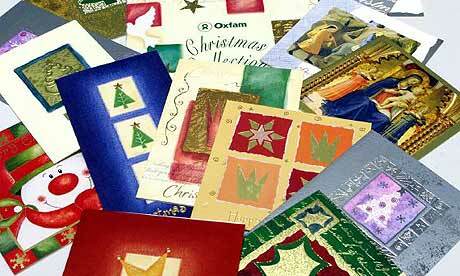 It is a free, volunteer run site, which lists charities and the addresses to send stamps to to help them. 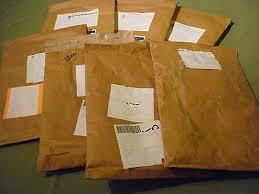 Padded envelopes, used or not, are gratefully received by animal charities and rescue organisations who run online auctions and sales. They need the envelopes to send out items bought by people, and having to buy them eats into the amount of money that goes to the animals. The Serbia’s Forgotten Paws Facebook group is an animal charity support group that makes use of donated padded envelopes. You can contact them through their website, or request to join their Facebook group (link above) to ask them how to get them to them. You will have to be registered with Facebook to view the group page. Some rescues and charities have volunteers who raise money by making gift tags and new greetings cards from old Christmas cards and other greetings cards. Serbia’s Forgotten Paws Facebook group is one such group. You can contact them through their website, or request to join their Facebook group to ask them how to get them to them. You will have to be registered with Facebook to view the group page. 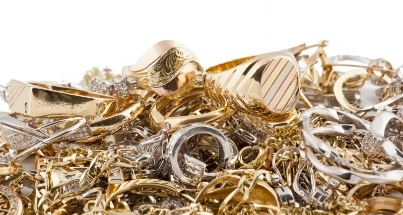 Some animal rescue shelters and charities, such as Hillside Animal Sanctuary, ask for donations of your broken real gold jewellery, that they can sell to raise funds. 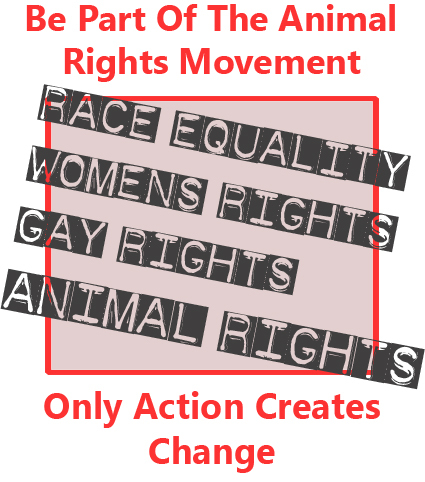 Hillside Animal Sanctuary helps and campaigns for animals in need, bringing public awareness to the millions of animals suffering every day in the intensive factory farming industry. Most of Hillside’s residents are all sorts of animals thats have been rescued from the farming industry, although they have also given sanctuary to 750 horses, ponies and donkeys. 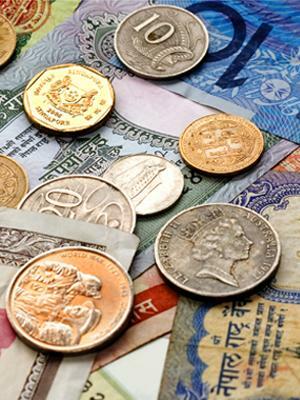 Some animal rescue shelters and charities collect donations of foreign currency left over from your holidays, and some collect out of date currency no longer in circulation. Image: Foreign notes and coins left over from your holidays are very much appreciated by animal charities who collect them. Hillside Animal Sanctuary is one such animal charity. Many other charities and rescues will collect foreign and out of circulation currency and will state on their individual website whether they do or not. If you see one that does not, you could contact them with the fundraising suggestion. Hillside Animal Sanctuary, along with many other animal charities, are also extremely grateful for people who wish to donate them their old car. For more details, please see this page.